w/Micro Red Dot RGB Illum. 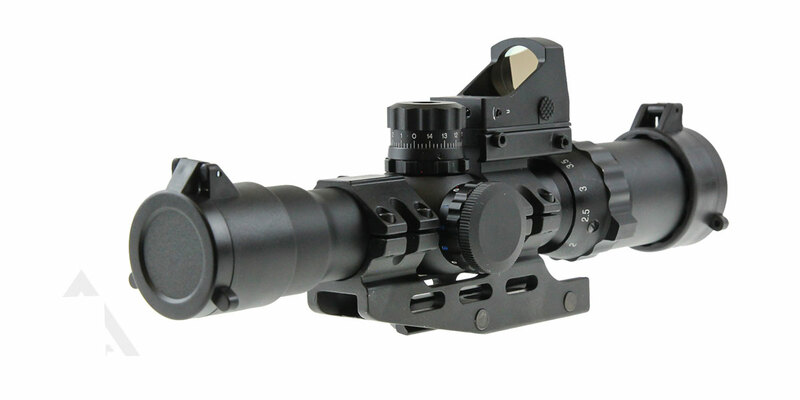 The Assault is a 1-4 power optic that offers target acquisition capabilities spanning from close quarters to mid range. The variable zoom adjustment ensures no target is out of focus, and the shooter is equipped to effectively deal with any scenario. The optic body has been nitrogen purged for complete water and fog protection and features adjustable locking turret caps. The Assault also comes with a quick detach monolithic mount and tri-color illumination for various lighting environments. 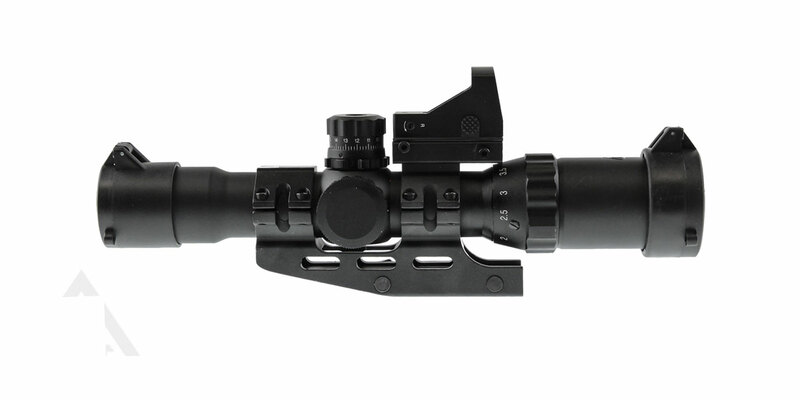 This combo also includes a Micro Blue Dot that can be mounted on the rear body segment of the optic.